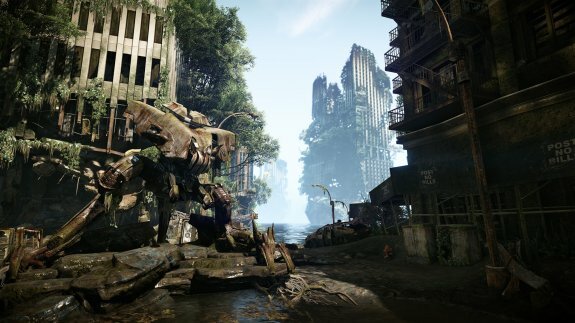 Game developer Crytek announced the Xbox 360 and PlayStation 3 editions of Crysis 3 will receive DirectX 11 graphics. Rasmus Højengaard, director of creative development at Crytek, revealed the game maker is working on translating the DirectX 11 effects into DirectX 9, because they want the experience to be the same acros all platforms. However, Crytek also stressed that the DX11 graphics features will not be included if they impact performance. Full details at Eurogamer. Højengaard provided a concrete example of this: parallax occlusion mapping, while pointing out that it was not a feature confirmed to be in the console version of Crysis 3. "I'm not saying this will be in the game, but they managed to make parallax occlusion mapping work, which is an advanced form of bump mapping where you get silhouettes as well, and you have self-shadowing even though you have absolutely no polygons," he explained. "That's a very advanced feature, and it shouldn't theoretically run on a 360, but they made it run on a 360."